We are an eminent exporter and supplier of Glacial Acetic Acid 99.7% based in Narayanganj, Bangladesh. We guarantee that the chemical we offer is good quality and free from impurities. 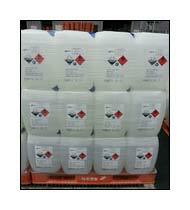 This chemical is used in different applications in various industries. Please contact us for competitive prices on bulk orders. We ensure good packaging and deliveries on time and in good condition.